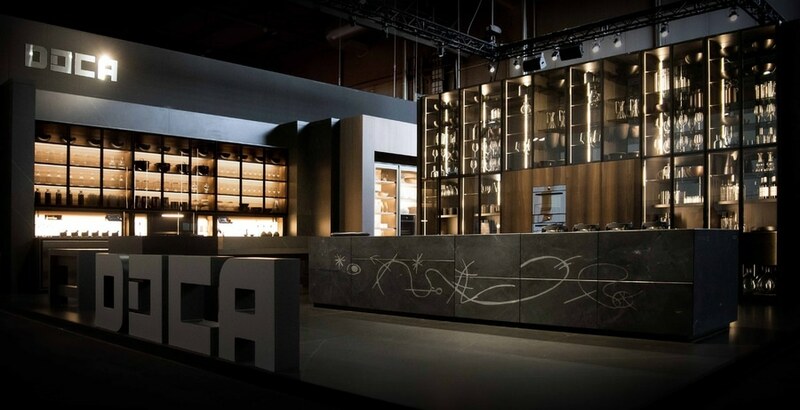 DOCA reminds us again the real meaning of a kitchen. 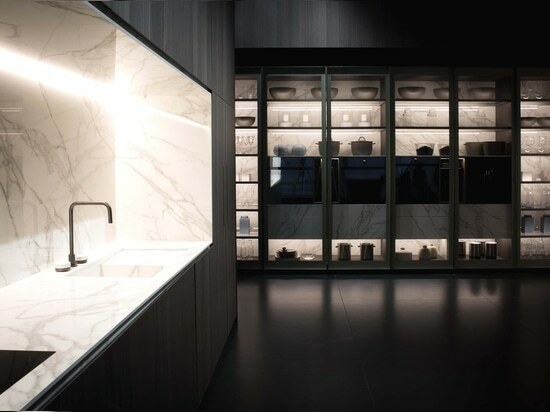 This avant-garde Spanish company shows us a space where the kitchen (as a tool) is only an excuse to enjoy higher feelings; spaces where flavours and fragrances share the leading role with words, emotions, music and art, exactly with the same importance. 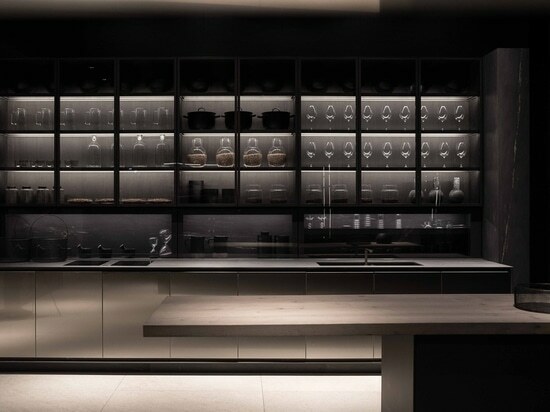 DOCA proposes to us that we should cook with the highest comfort and cleaning with absolute accuracy, as if we were at any other favourite place of our home, such as the library, the study, the lounge… that’s their philosophy. It also speaks us about time and the small importance it has when you are cooking a good stew while having an excellent conversation. 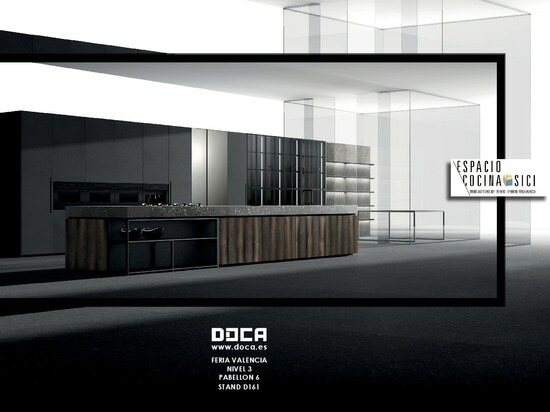 To materialize those premises, DOCA presents this year five new kitchen spaces based on the poetry of gastronomy and visual pleasure. 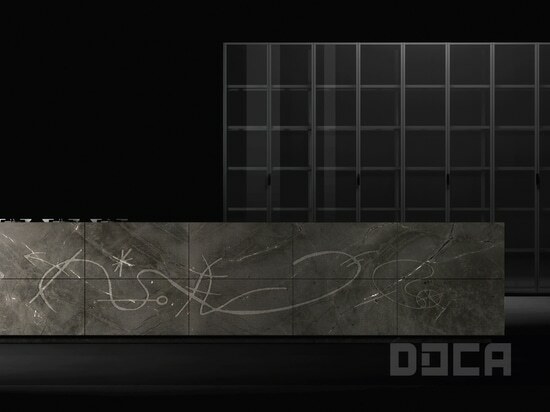 Their proposal called Lavelet Negresco Leather, with its pictorial front printed in natural stone, is the clearest example of the vital need that everyone has of art and beauty. 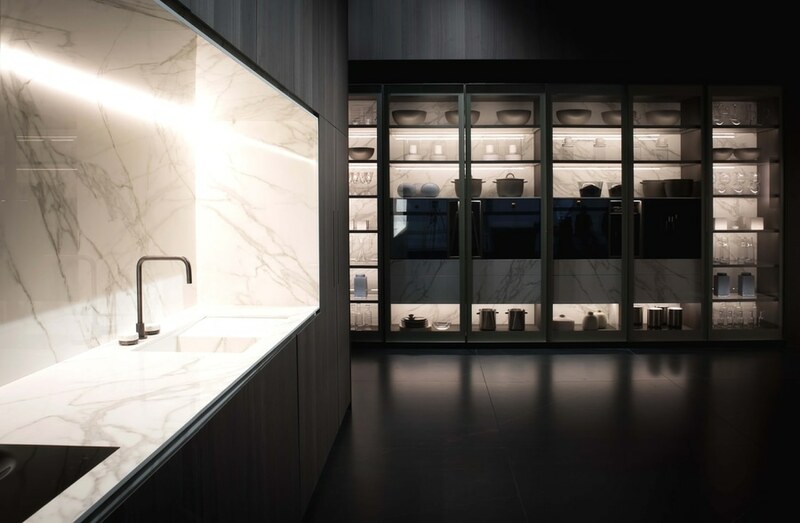 In some cases, such as in their Magma Ata New Factory 2 model, that poetic crossbreeding combines with special delicacy the steel and new technical materials with a thousand-years-old oak wood, or the worktop made of polished stone with authentic fossils inlaid. 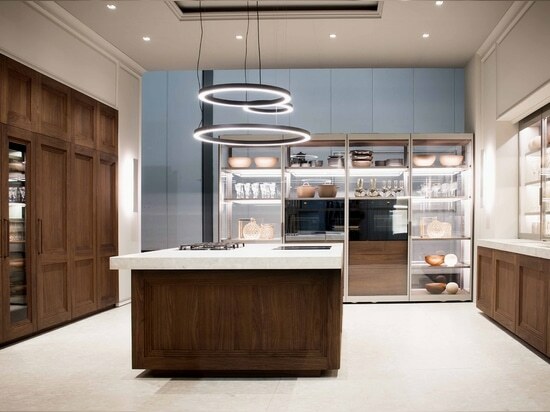 Because time is another poetic element with a high presence in the kitchen. Time to get the optimal point of a dish, time to listen and to talk, time to look and to watch, time to taste, to think… Time. 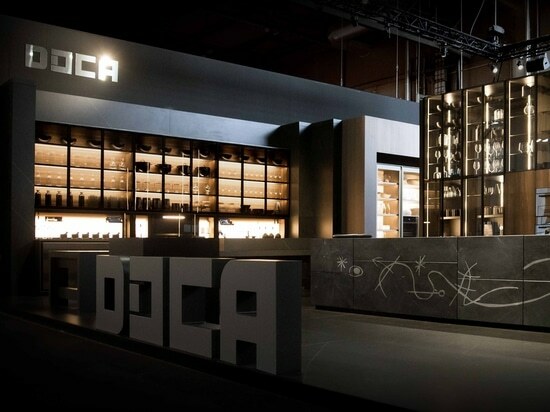 At the DOCA stand we have seen electronic mechanisms and really new materials “almost spatial”, together with fine woods and ancient stones. A huge gastronomic potential has been disclosed, because everything has been designed to make culinary talent shine intensely and succeed. Above everything, there is serenity and harmony. Two concepts that are fundamental for a space mainly based on sensations. 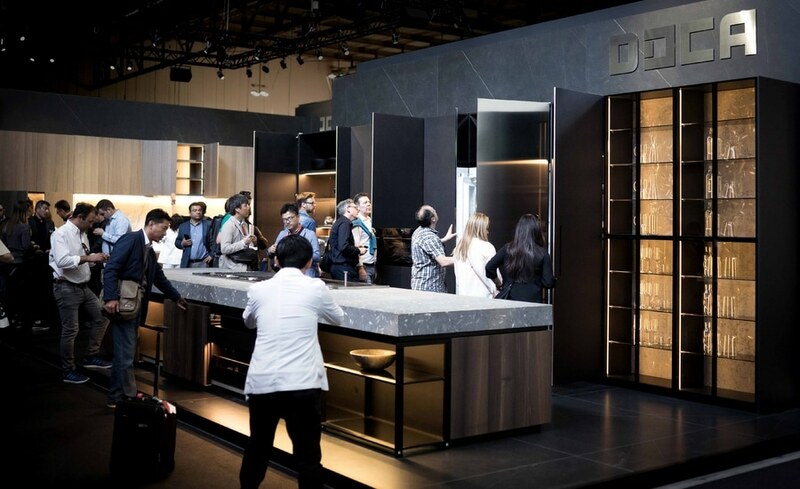 In 1980, DOCA decided to use all their technological and design resources to obtain a kitchen space with the architectural weight it should have. 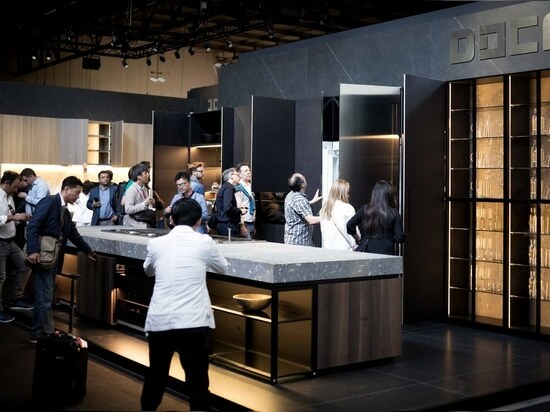 Furthermore, in Eurocucina 2018, DOCA certified that its production systems are compatible with an environmentally sustainable management. 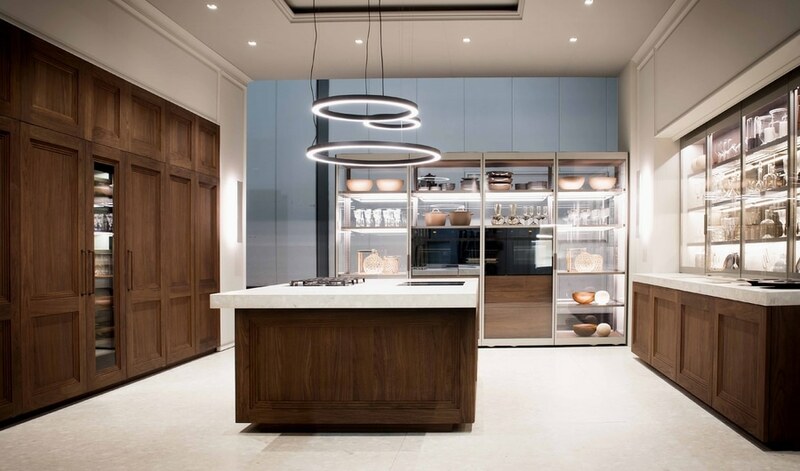 Kitchen designs that will take the best from previous seasons and integrate new developments that will help turn the kitchen into an efficient space without forgetting style and high quality. 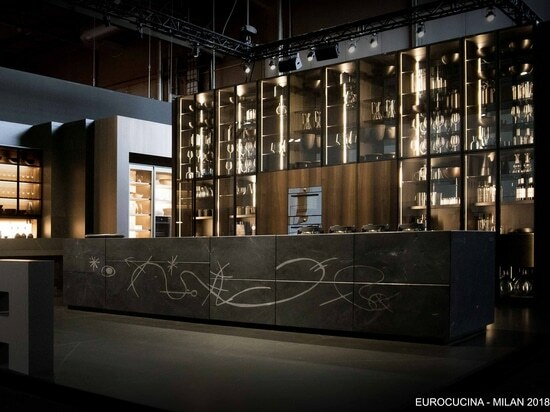 The Spanish company will show seven new spaces inspired by poetry and visual pleasure.